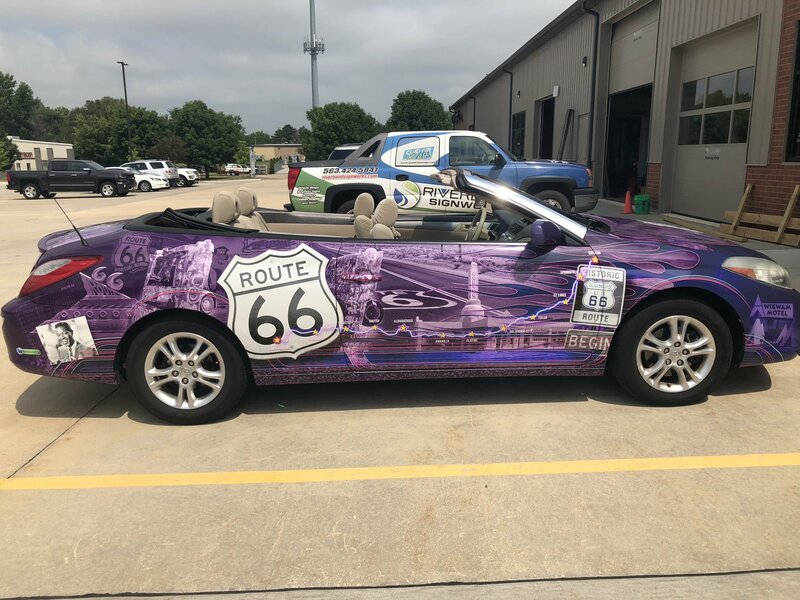 Michael Angelo of Davenport, IA and his Route 66 wrapped car are on the way to California! 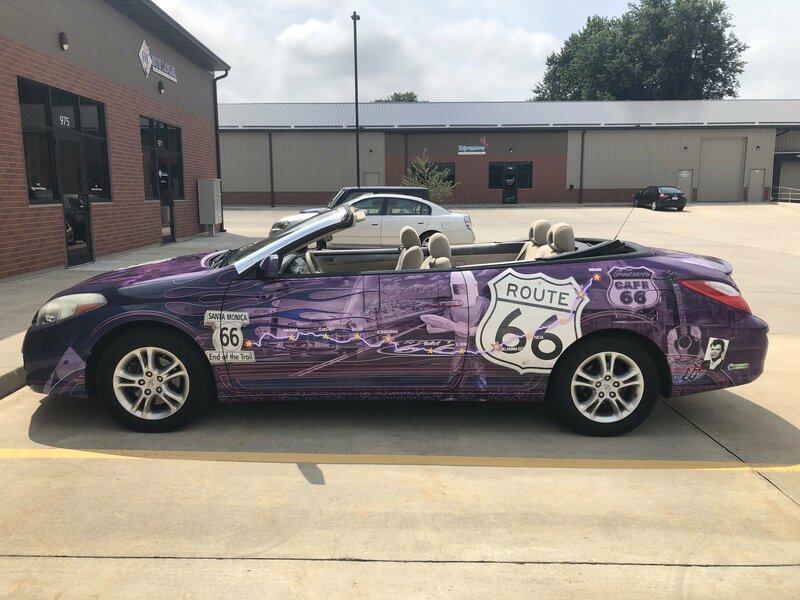 Since Michael left our shop in his purple Route 66 themed vehicle wrap, he’s been featured in 5 different newspaper articles! 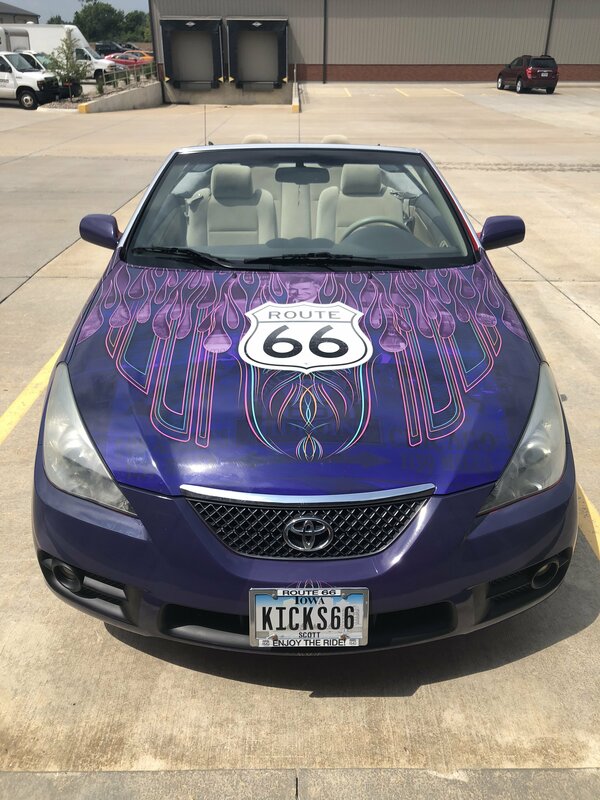 If you’ve seen this car around town, then you know it’s hard to pass up a picture opportunity. 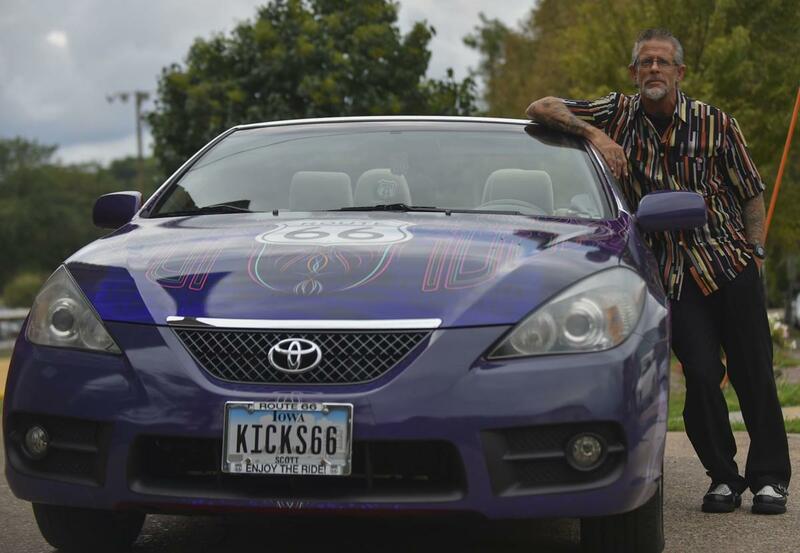 Michael has been sending us post cards along the way to keep us updated on his journey traveling the historic highway. 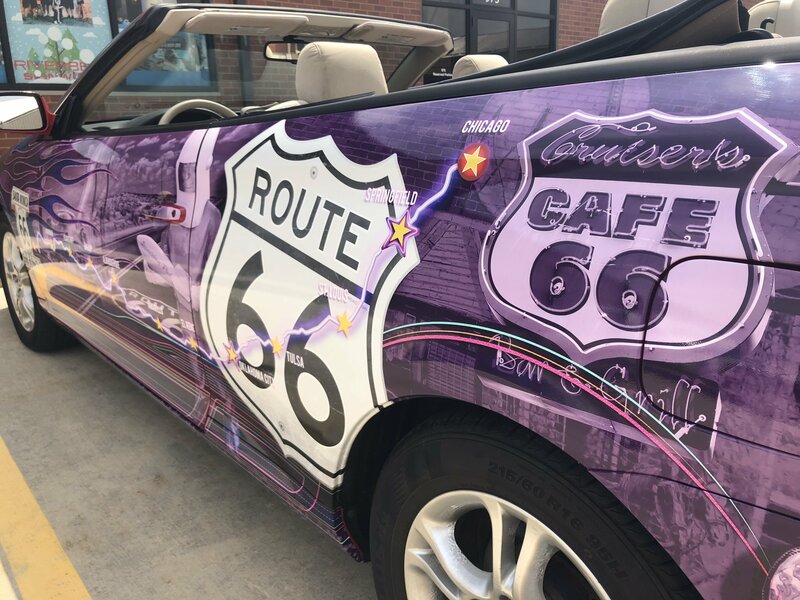 While we mainly work business to business, we love creating personal and custom wraps for our customers. 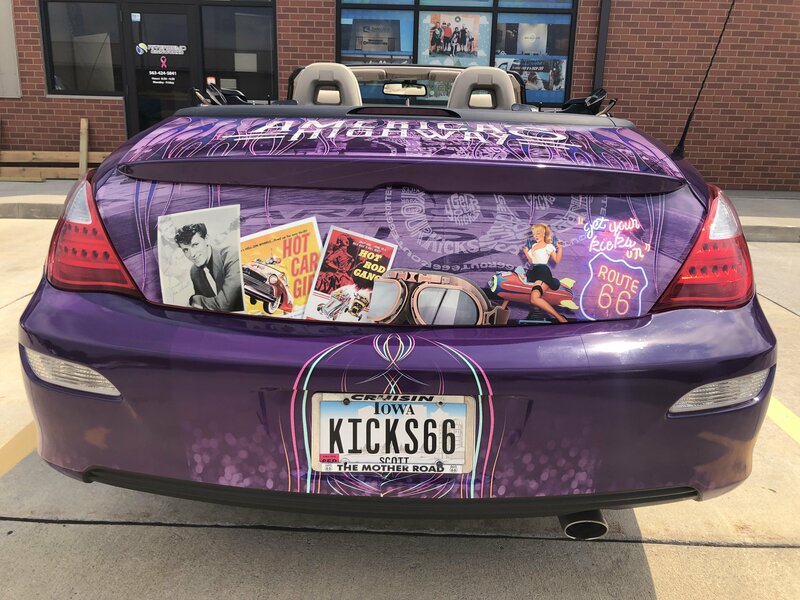 If you’re interested, please give us a call at 563-424-5841. PreviousPrevious post:The Ultimate Indoor Lobby Sign Price Guide. $100 or $10,000?